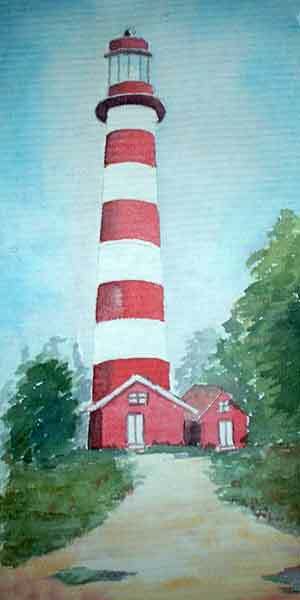 This is a picture of Cape Hatteras lighthouse which was inspired by a photograph in a book. It was an one of the exercises I do daily after I get off from work so that I get the feel. In other words, to keep my fingers nimble and the brushes pliable. It was painted in half an hour. Swee, everytime i open your blog i found new painting, this one is great. i tried to paint in watercolor, and its terrible. Your are being modest! Sure you can paint. It's not that difficult you know. If you need help, just ask. I am not a good oil painter but I can give watercolour a good shot.